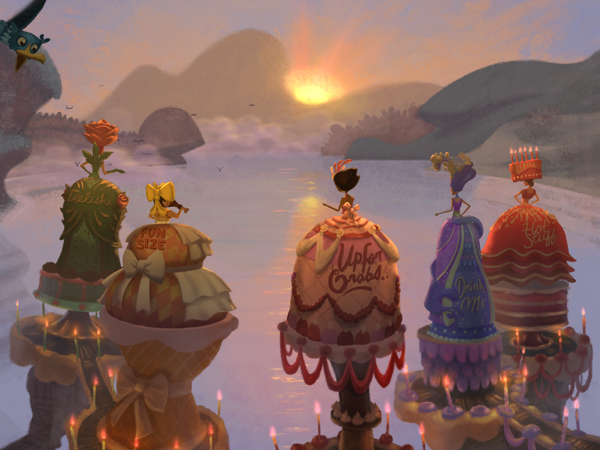 Broken Age is a game that’s been surrounded by a bit of controversy over its highly successful Kickstarter campaign and the length of time it’s taken to complete. I’ll admit that I really don’t know much about that, other than a few snippets I heard here and there. When the game was first announced and then the first act released, I only had an iPhone to play on. Since the game was not available on iPhone, I tried to ignore most news about the game so I wouldn’t be too disappointed about not being able to play. Well, recently I got an iPad, and on top of that the game got iPhone support. So there was no longer any excuse not to play the game. Since the second act was due out soon, this gave me the opportunity to play the full game in one shot without any waiting. So this review will cover both acts instead of splitting them up. I will try to make it as spoiler-free as I possibly can while still being informative. The best part of the game is the sheer glee upon uncovering plot points and new characters, so I don’t want to ruin that for anyone. First of all, Broken Age is a point-and-click adventure that harks back to classic adventure games. It’s a high budget project with celebrity voice actors, such as Elijah Wood, Wil Wheaton and Jack Black, a gorgeous soundtrack, and top-notch hand-drawn animation. It’s definitely one of my favorite games and comes close to perfection. I’ll explain later what keeps it from being perfect. But first, some basics about the game. From the very beginning, you have a choice to play either as the female character named Vella or the male character named Shay. For the first act of the game, the two characters can be played completely independent of each other. You can complete one story in its entirety before starting the other character’s story, or you can switch back and forth whenever you get stuck or just need a change of scenery. The two characters seemingly have nothing to do with each other, and it feels like you’re playing two different games. But by the end of Act 1, their stories collide in surprising ways and it becomes clear why they’re both so important. While some aspects might be predictable (like how the shady-looking character might not be who he says he is), there are a lot of things I genuinely didn’t see coming. 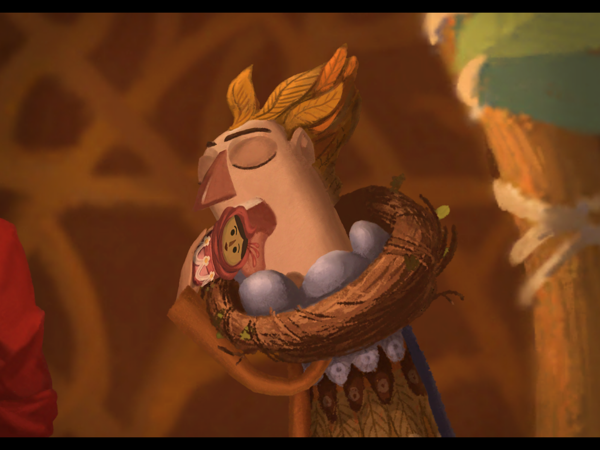 The characters in Broken Age are all full of life. While the two main characters are the most fleshed out, the supporting cast provides an abundance of humor and personality. Shay is a gullible boy with no street smarts who’s been coddled his whole life while living on a spaceship, seemingly alone. He’s protected by the ship and is not allowed to do anything that might put him in danger. But all he wants is to be a real hero and go on real adventures. Vella is a strong female character who refuses to accept her fate. Without giving away too much, she lives in Sugar Bunting, a town of warriors-turned-bakers. She and her grandpa are the only ones who still seem to have a fighting spirit, so it’s up to her to save the day. She doesn’t wait around for anyone to save her. Instead, she takes things into her own hands, and even throws a mean right hook when necessary. You will never catch her flirting with some guy, either genuinely or to get him to do her bidding. It’s refreshing to see a smart, resourceful female character who uses her brains and not her looks to get herself and others out of tough situations. The characters are given a thoroughly entertaining script filled with puns and plenty of quotable lines. I actually wish I could get a copy of the transcript. I found the dialogue and characters delightfully quirky. Between the oddball family that joins a cult above the clouds and and the talking tree that vomits sap, I felt like a child again, excited about every aspect of the game. As with the best classic point-and-clicks, just about every item interaction has its own description. So it’s fun to try your inventory items with everything and everyone and see what happens. Especially entertaining is the talking cutlery set, each piece with his or her own unique personality. Let’s talk about the puzzles a bit, since this is a puzzle-centric game. As I said earlier, the characters are completely separate in Act 1. The puzzles are also more straightforward, although some of them did stump me for a little while because I wasn’t trying all my options. Like in most point-and-click adventures, you need to find clues and objects and talk to characters to figure out what to do next. To make sure you don’t miss an item, you can tap on the little eye in the upper right corner of the screen, which will highlight all interactive objects in the scene. This means you won’t waste your time pixel hunting. The puzzles are clever and well-executed and never felt unfair in Act 1. Things change a bit in Act 2. You can no longer complete one character’s story before touching the other character. I got quite far with Shay in Act 2 before getting stuck on a puzzle. I had to try a lot of different options before the game finally told me that the answer is in Vella’s story. This would have been fine if it was something I expected. Once I knew that I didn’t have the clue for the puzzle yet, I simply gave Shay a break and worked on Vella. I just wish I had known to do so before driving myself a bit crazy first. On the flip side, Vella is expected to know a few things that only Shay (and by extension, the player) could possibly know. Puzzle-wise, I didn’t mind it and actually liked that the challenge ramped up in Act 2. It felt really rewarding when I finally solved a complex puzzle. But logically, it doesn’t make sense since the two characters have no way of communicating with each other. For some unexplained reason they simply read each other’s minds. Still, despite all this, I was able to stick to my conviction of completing the game without any cheating. The only thing I didn’t figure out on my own was something that had me running in circles for days, with seemingly no options left. Eventually, I accidentally solved that part of the puzzle and triggered the next part without even realizing it. Without giving anything away, the puzzle was not very clear, so it’s possible I would have ended up cheating on that one if I hadn’t stumbled into the solution by accident. Everything else I managed to sort out on my own with some perseverance. So, while the full game is not as perfect as Act 1 had me thinking it would be, it still comes pretty close. But it’s likely that most people will look for help at some point. One of the things that sometimes bugs me with third person point-and-click adventures is having to wait for a character to slowly walk across the screen. 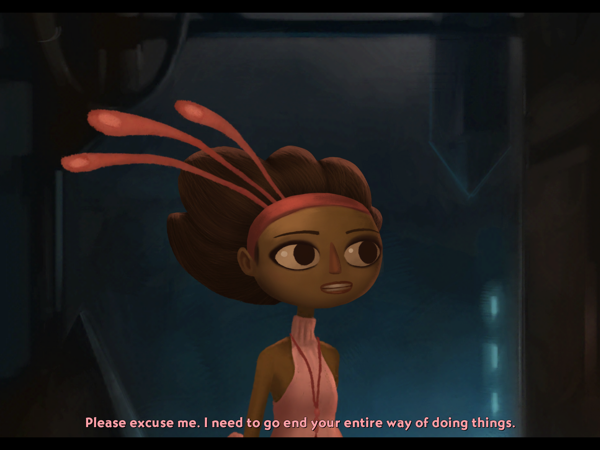 Luckily, in Broken Age, you can double-tap to skip cutscenes, which includes the characters’ walking animation. This greatly minimizes the time you spend waiting, so you can enjoy actually playing. With some puzzles forcing you to redo parts multiple times until you do them right, it’s actually a must-have feature. I likely would have gotten annoyed with the game if I couldn’t skip cutscenes I’d already seen a few dozen times. So I’m glad the developers had the foresight to include this option. The game also utilizes iCloud saves, which is great news for anyone with multiple devices or simply not a lot of space on their device. At one point, my iPhone and iPad saves weren’t syncing, but the recent update seems to have fixed that problem, as it’s been working flawlessly since. I was thrilled to be able to play on my nice, big iPad Air 2 when home, but continue playing on my iPhone 5 on-the-go. The game is more enjoyable on a bigger screen, but plays perfectly on smaller ones. I never had any issues with controls or performance when playing on my iPhone 5. Broken Age is the type of game that got into my head and would have me thinking about the puzzles even while I wasn’t playing. So it was nice to be able to pull out my phone at any moment and try something I thought of, but then sit down on my couch with my iPad for the long haul. 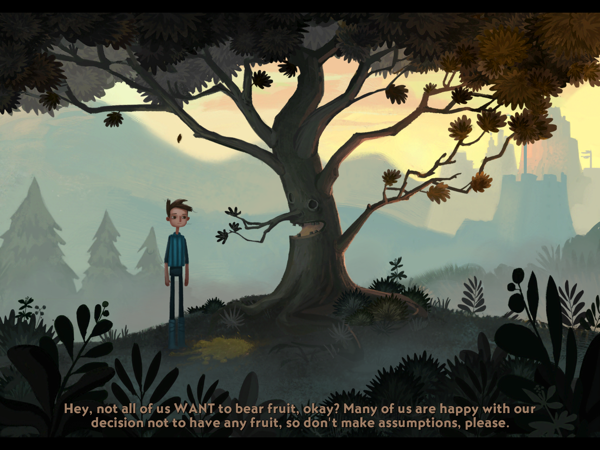 Overall, I would still say Broken Age is one of my favorite games of all time. 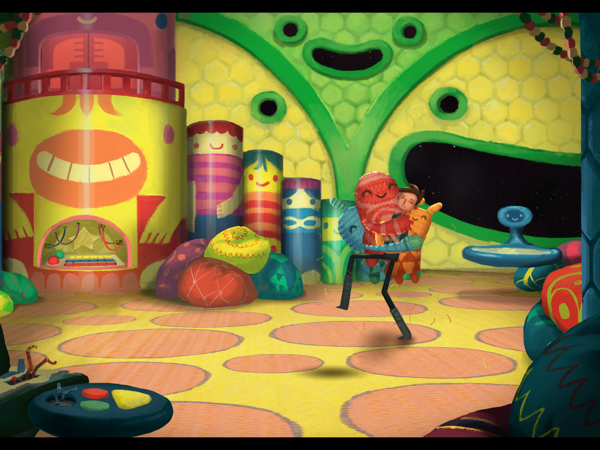 Double Fine Productions did a superb job with it and you can tell it’s a work of passion. The story kept me on my toes, eager to know what will happen. The characters feel fleshed out, each with their own unique personalities. There are also puns galore for those, like me, who have a weak spot for them. Act 2 has a few unfair puzzles, but I would still recommend the game a hundred percent. It may not be the image of perfection I hoped it would be, but its flaws are minor in the big scheme of things. There are so many puzzles and it would be silly to discount the whole game just because a tiny number of them are slightly, well, broken. Don’t miss out on this gem of a game over a few minor issues. If you have to, find some help online when you get stuck. But play the game no matter what. My first play-through took me over fourteen hours without cheating, so you definitely get your money’s worth here. So what are you waiting for? 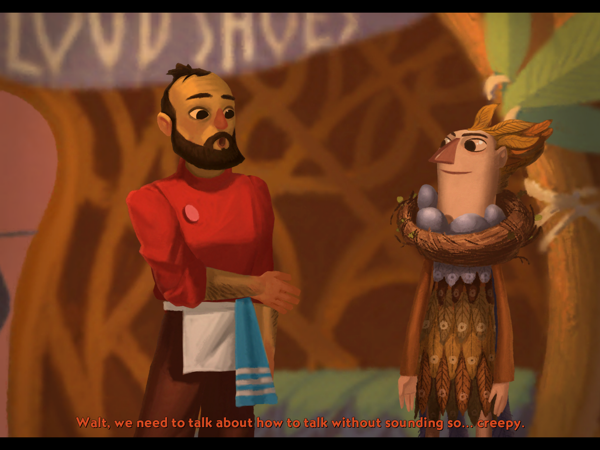 Download Broken Age and start playing! Already playing the game and need some help? Try my Broken Age guides. 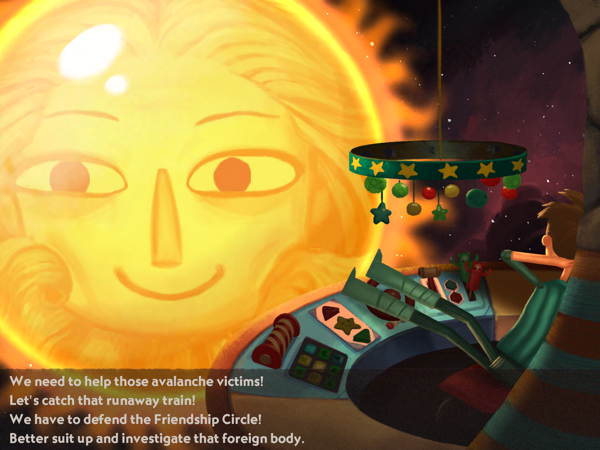 See my step-by-step Broken Age Act 2 walkthrough.